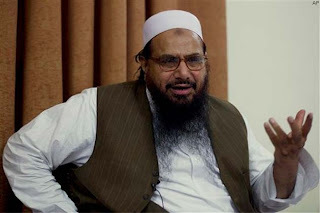 Chief of Jamat ud Dawa Hafiz Muhammad Saeed has said that People of Pakistan should Seek Forgiveness From Allah SWT For Our Sins Together and come out to help our brothers and sisters that are effected by the Floods. Hafiz Saeed talked with the Delegation of Jamat ud Dawa Workers at Al Qadsia that is Headquarter of Jamat ud dawa. Hafiz Saeed discussed about the Jamat ud Dawa Relief Activities for the Flood Victims with the JUD Workers. Jamat ud Dawa is playing a Key Role with Pakistan Army and other Organizations in doing Relief and Welfare Activities in Flood Effected Areas. Pakistani Political Parties and So Called Bright Minded NGO,s are not doing any work for the Flood Victims and whichever work is done it is done by Pakistan Army and Islamic Charities. At Same time American officials are pressurizing Pakistani Government to give more Media Coverage to Their 5 Helicopters that are working in Flood Effected areas and also demanding to ban giving Coverage to Islamic Charities that are doing active work in these areas.